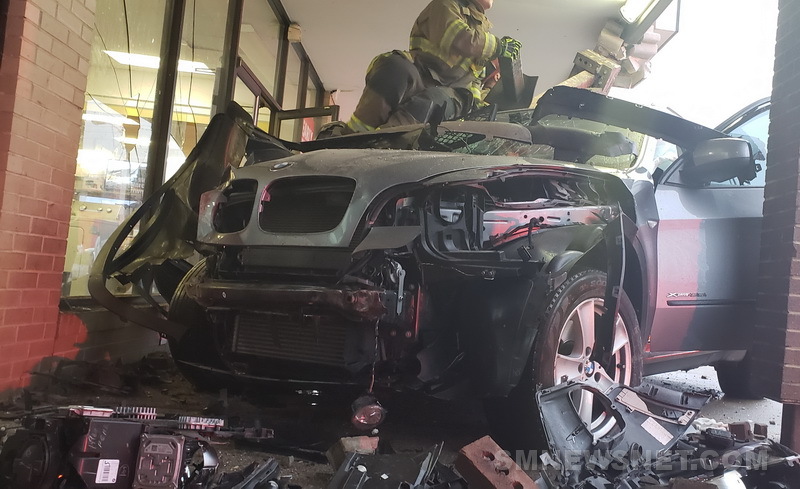 On Thursday, March 21, 2019, at approximately 6:20 p.m., police fire, and rescue personnel responded to the St. Mary’s Square on Great Mills Road in Lexington Park, for the reported motor vehicle accident with a building involved. 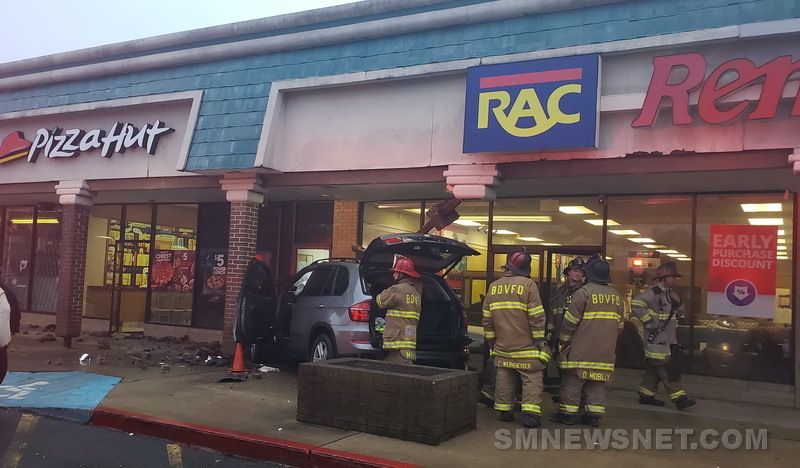 Crews arrived on scene to find a single vehicle on the sidewalk into the front of pizza hut. 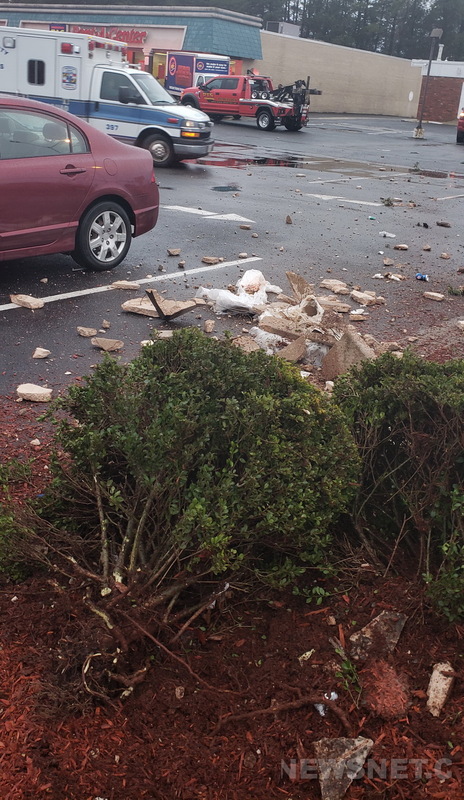 The vehicle, which was located in the McDonald’s parking lot, for unknown reasons accelerated through multiple medians in the parking lots striking a trash can, then struck a support beam and the front of the building. Two patients signed care refusal forms on the scene. The St. Mary’s County Sheriff’s Office is Investigating. This entry was posted on March 21, 2019 at 8:11 pm and is filed under All News, County, Fire & Rescue, Law Enforcement, More News, St. Mary's News, z 600X120 Top Ad Bottom, z 600X120 Top Ad Top. You can follow any responses to this entry through the RSS 2.0 feed. Oh my.10-4. Hope everyone recovers. People can’t drive for crap around here! 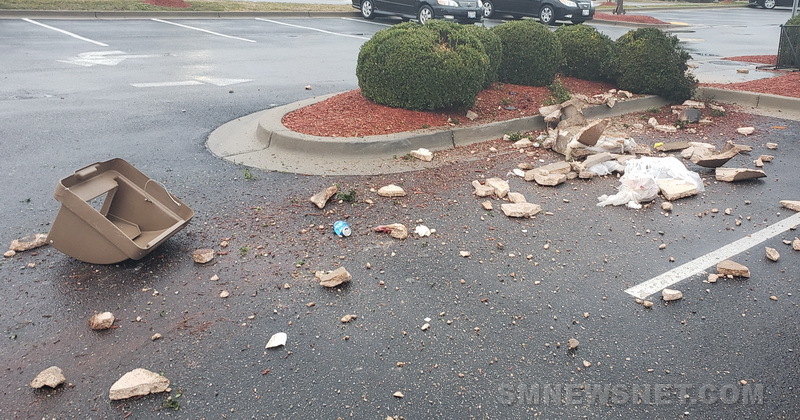 Crack is bad for ya kids…..
Only in Saint Mary’s County. The most dangerous/reckless drivers on planet earth. Drivers are no better in Charles County. You’ve obviously never driven in Boston or southern California. I agree about California. I fly into LAX quite a bit every year and drive about an hour and a half North for work and the number of reckless drivers is ridiculous. As for here its funny that many of the people I see using the turn lanes to get ahead of everybody and cutting in and out of traffic have Virginia or Florida tags. I was born and raised here and it didn’t get bad until the influx of people for NAVAIR invaded. BS! I see plenty of county natives running red lights, passing in the merge lanes, and racing to get ahead. It is NOT just a problem with people who came here to work. Take a look at most of these stories. The majority of the offenders have county last names! I bet Rent A Center was collecting from them. Really. 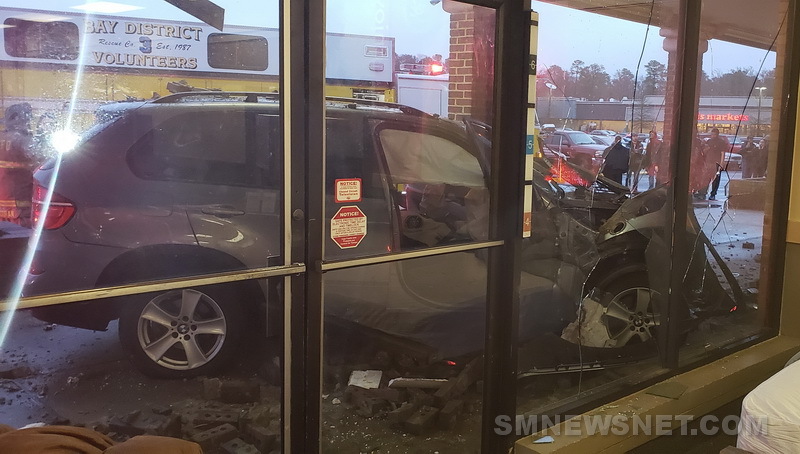 All that stuff you ran over and still couldnt stop from crashing into the store? They didn’t do much to hurt the looks of the building. Another one of those drunk buildings attacking innocent people. Oh, the horror. How you accidentally accelerate that far? You do know that Pizza Hut delivers right? Check out that $5 lineup! Do you think that grants a driver immunity? Don’t you think the police evaluate these people for impairment? I’m glad they allow people to refuse treatment since it allows resources to be put back into service soo we for citizens that may need it. We thought it was in reverse but somehow it was in drive. My foot might have slipped from the brake pedal to the gas, when the Jay Z song came on. So we hopped 3 medians and took a wild ride. Good thing we made that last payment to The General. The guy was actually choking and blacked out…but everyone was fine. Take smaller bites. It’s not worth an accident. There’s too much material here…don’t even know where to start.